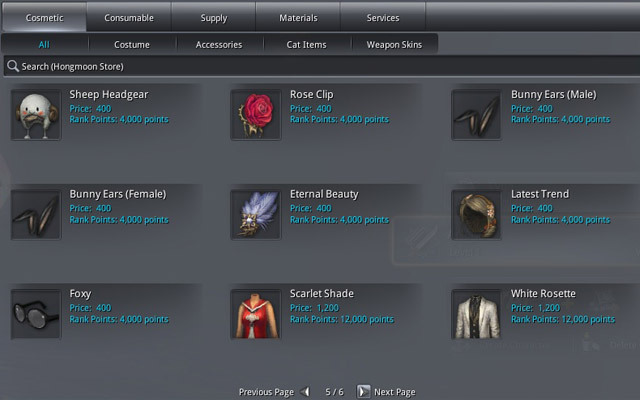 Although we call it cash shop, it allows you to purchase items without actually spending your money, because you can get Hongmoon Coin in the game by selling gold to other players at auction house. 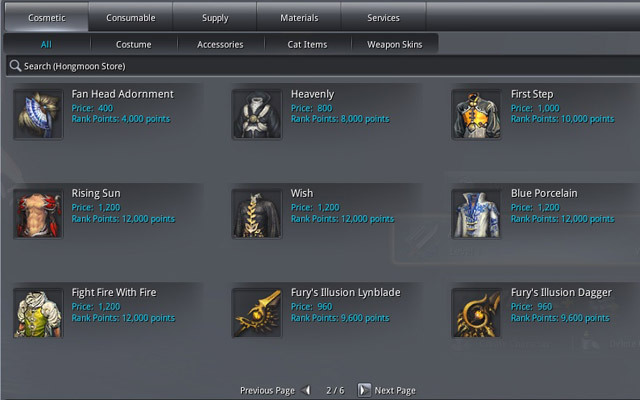 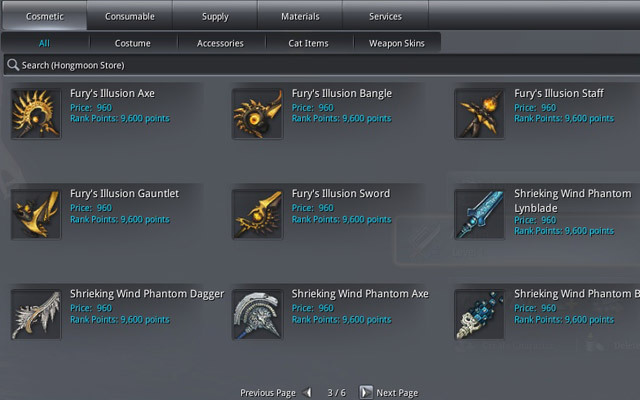 If you are going to have Blade & Soul Gold and also curious of the item price of the cash shop, here's a glimpse at it. 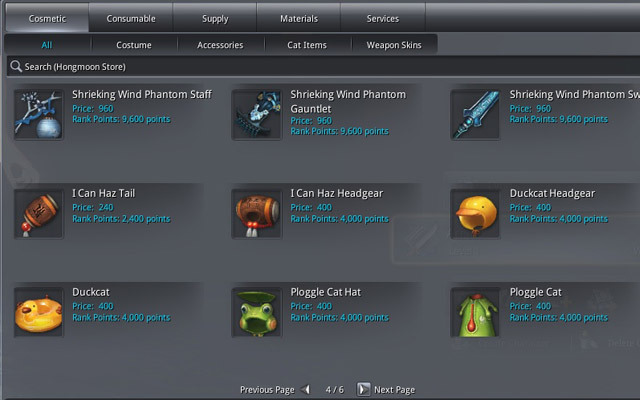 First take a look at the price of some items including costumes, crafting materials, consumable items, and weapon skins, etc. 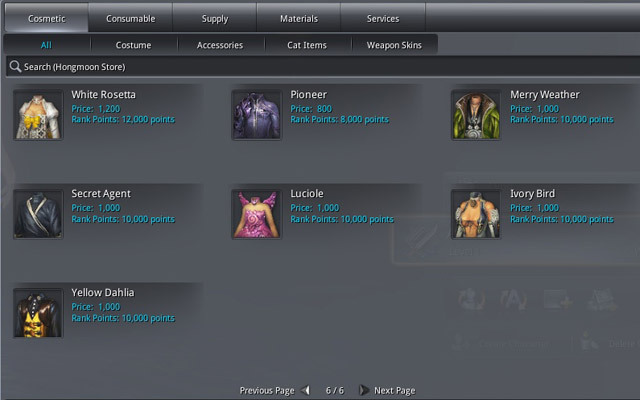 The price refers to NCoin which can only be purchased with real money and can be used in NCsoft's other MMOs. 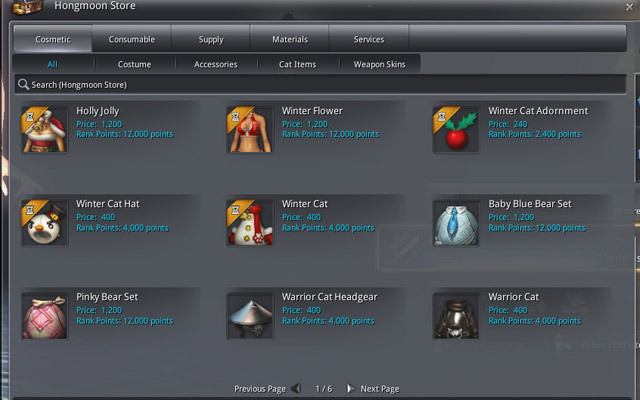 The rank point refers to Coin which can be earned by playing the game or selling gold in auction house.